Good morning. Goodness, I had so much blog reading to catch up on but I think I finally got it done. Today I'm having my first cup of coffee since last Thursday, and I beginning to feel a bit more human. I still get a bit woozy when I'm standing, but otherwise I think I might be on the mend. Today I'll start a new med that my doctor phoned in. We're hoping to keep this cold from turning into pneumonia. I hope it works. Gosh, I have so much to do in the next three weeks, it's just not funny. I just called to reschedule Pogo's doctor appointment again. This is the third time I've had to reschedule it. Now it is up to next week on Wednesday morning. Hopefully, we won't have a problem keeping this new appointment. Deanne sent me a couple photos on Superbowl night that I thought I might share. This first one is so funny. 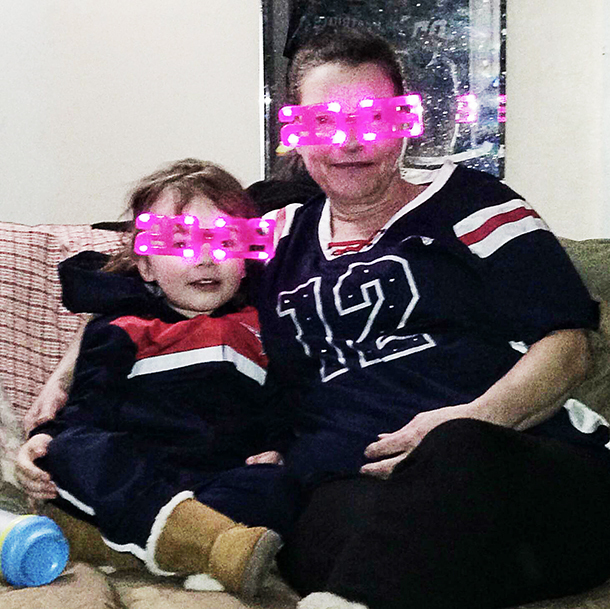 Deanne and Aurora (my great granddaughter) are sporting their fabulous glasses that are special for watching the Superbowl game. And this is my grandson Bobby, with Amber and their two beautiful babies, Aurora and Xander. Everyone gathered at Deanne's house to watch the game. Bobby was my very first grandchild. My gosh, I can't believe how the years have gone by. Seems like just yesterday when Papa (my hubby) would take our three grandsons, Bobby, JC and Trio once a month for a "boys only" weekend. They would play on the computer, sing songs and make chocolate sherbet. The house was full of happy noises. Gosh, the mailman just came and brought two packages. One holds flower rolls that I will be planting this Spring, and the other is a package of dolls. I ordered one doll, and they sent me three of them. Thank you, thank you. Now I have the perfect excuse for making some new dolly outfits. I'll bet you can't tell that I love dolls, can you? hahaha. It's feeling like a great day! Now I think I'm going to make myself another cup of coffee and check out these new dollies. So, till tomorrow, Y'all have a fantabulous day. 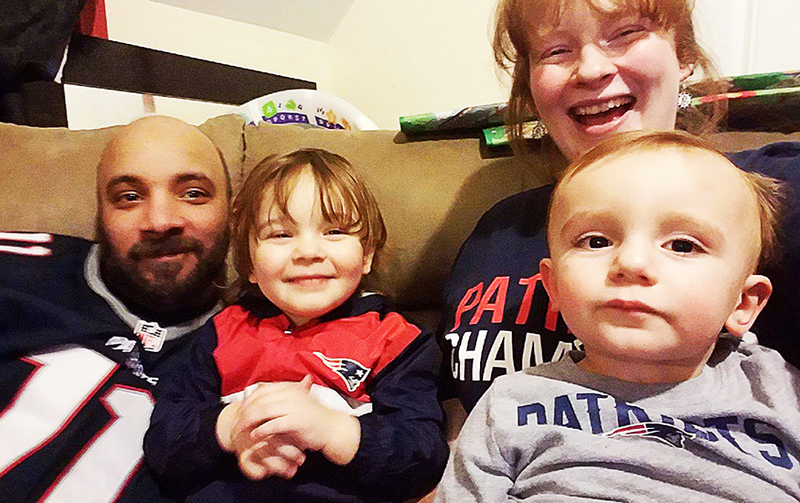 Oh my goodness, those cuties watching the game sure make us smile:) Hope each day finds you feeling better and better. Sending HUGS and PRAYERS your way!